from page 3 "...and with the largest readily available DIMMs currently coming in at 2 GB in size"
MS may have needed to restrict 64bit to long longs due to some internal operating system code issues ... If, in fact, linux distros that run on x86-64 impliment 64bit longs this may be the case. Otherwise I'd lean towards a hardware issue. MS wants to control whatever they can. Control graphics memory and we are another step towards commoditized graphics boards. 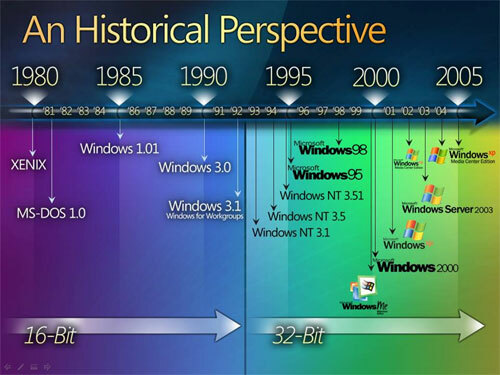 I wonder why MS went the way they did with the 64 bitness of the system. They went to (LL)P64 where just the long longs and the pointers are 64 bit, rather than LP64, where the longs are also 64 bit. tbh, with the current state of things Linux game performance is not up to par with windows. Even with windows managing graphics memory, windows performance will likely be better. And from a workstation perspective, having virtualized graphics memory for free is more of a blessing than a curse.